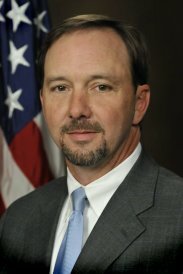 John M. Dowdy Jr., who has been the acting first assistant U.S. Attorney for the past year, is now the court-appointed U.S. attorney for the Southern District of Mississippi, the U.S. Attorney’s Office announced. He replaces Donald R. Burkhalter, who retired this month. Dowdy was appointed by Chief U.S. District Judge Louis Guirola Jr. Dowdy, a veteran federal prosecutor who has been with the office since 1988, had previously served as chief of the criminal division since 2004. He will likely serve as U.S. Attorney until president Obama appoints someone to the post. Posted: 1/13/11 at 9:10 AM under Milestone, News Story.